Compact and powerful, the BaByliss Pro GT Ionic 2000w Hairdryer combines Ionic and Ceramic technologies to give the most sought after results for shiny, silky and manageable hair. As with all BaByliss products it has been designed by hairdressers for hairdressers and includes a long life AC motor, so you know it has been built to last! Comes with a UK plug. Well priced, professional hair dryer. Settings are good, but I don't love the placement of the controls. I would say this is a good hair dryer to have if all you need to do is dry your hair in the shortest amount of time, it does get the job done really fast. Otherwise, if like me, you need to coax your hair into curls with a brush on a daily basis, the weight of this hair dryer is a bit of a dampener, and I would be more inclined to pick something else. Lightweight, powerful!. The only minus is that you unintentionally keep pressing the cold air button as you dry your hair. It has to do with the design. Love it, it has great ranges of diferent speed, and you can chose from hot and cold air. It dries my hair much quicker and it leaves it silky. The only minus is that it's quite heavy, but other then that I would definatley recomend it, great price too. Not a miracle, but good. For daily using maybe little too big, but working well. Lots of power in this bad boy! I love this hair dryer. After reading lots of reviews and not wanting a GHD I chose to go for this model. I have very very thick hair. I only need to wash it once a week and blow dry it after. So I really needed a solid dryer. I've used the ghd air and aura before and both of them are good but not worth the price. 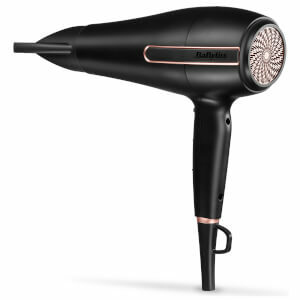 This hair dryer is very powerful and I only have it on low heat and that's adaquate for a perfect blow dry using a ceramic brush. The only complaint I have is with the placement of it's buttons. When you're drying your hair, your hand can often accidentally change the settings. They're pretty annoying and imo in the wrong place. Otherwise it's great. Good size, lightweight, powerful and looks pretty smart. I'd recommend! The dryer is very useful. Best dryer ever! it dries fast n handy. recommend to other! Overall I am pleased with the dryer, however it is quite heavy in comparison to my previous hair dryers. The Nozzle does come off quite easily,which is a bit annoying. But overall a good hairdryer for the price. 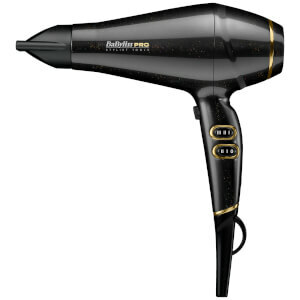 I bought this hair dryer after using it at my gym and was impressed how it functioned. My hair was smooth and easier to style with no frizz! I highly recommend this dryer.